I love Firefly. But I don’t want it to come back anymore. Not in the format and with the characters we’d recognise. 1/ Fox still own it. They’d just kill it again. If we love our Browncoats, we don’t want to re-subject them to the Fox environment. 2/ What if ‘we’ owned the rights? Add to that cancelling Avengers 2 and S.H.I.E.L.D, I’d wager. Would you give it all up for more Firefly? Yeah. Me too. Ok, so let’s say that by some miracle, the cast and crew overcome this career-destroying part – by filming in an amazingly synchronised off-season period of time, when everyone just happens to be available. 3/ Bringing Firefly back changes what Firefly means to us. If I’m perfectly honest with myself, the idea of Firefly returning like a phoenix from the ashes is more attractive than it actually happening. Our love of that show for what it was and is right now, and our hatred of Fox, unifies us. That we, the Browncoats, are still flying and fighting, and that we may one day have a shot at taking back our piece of the ‘verse back from the Alliance. That it still hasn’t worked out that way makes us love the show all the more – we are even more invested in the characters because we’re much more alined with their struggle, in a silly but also kinda real way. Just like Mal, we’ll always be fighting for what we believe in, even when it gets us nowhere. 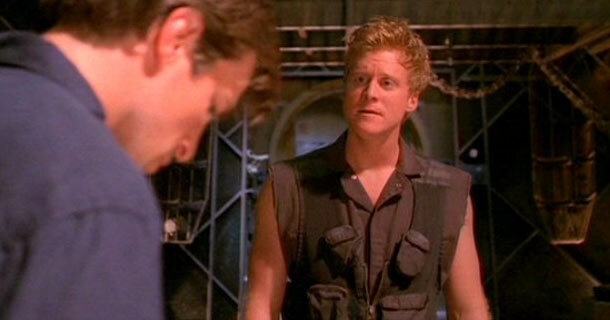 If Firefly returned, we’d lose this. The hope and anticipation of one day winning if we just keep fighting keeps folk flyin’. But if it remains as it is – the culture of Firefly is secured and it will not only live forever, but continually inspire newcomers to the series to fight the unfightable; not because it’s easy and not because we’d win, but because it’s just better. The longing for Firefly to come back is as much a part of the ‘verse as the show itself now. Aside: here’s “Can’t get better than this” by Parachute Youth – a song that I can’t get enough of because it reminds me of Firefly. Seemed like a nice way to end the post.